The 2007 Honda Accord Sedan is powered by a base 2.4-liter Inline-4 with 166 hp. Also available is a 3.0-liter V6 with 244 hp. 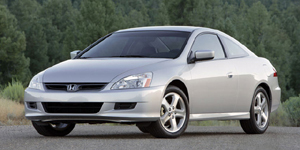 The 2007 Honda Accord Coupe is powered by a base 2.4-liter Inline-4 with 166 hp. Also available is a 3.0-liter V6 with 244 hp. The 2007 Honda Accord Hybrid is powered by a 3.0-liter V6 with 253 hp.